As I mentioned a few weeks ago, I taped an interview with Tess Vigeland of American Public Media’s Marketplace Money show. I was interviewed along with Jim of Blueprint for Financial Prosperity and Lynnae of BeingFrugal.net. 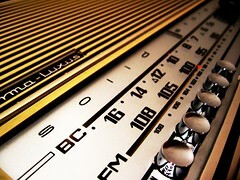 The radio program ran Friday. If you missed it, you can go here and listen to it online, or download an mp3 of the show. net worth or net worthless? The interview was about 30 minutes long (for all three of us combined) and the final cut’s closer to 5 minutes – so it’s a fairly brief piece, but if nothing else you can hear what bloggers like me actually sound like! I had a good time doing the interview, and hopefully that shows in the piece. p.s. – I’m kidding about the thick accents. Always nice to find out what people you read look/listen like. That podcast is often a good listen generally, I’m subscribed. It’s too bad that Public Radio doesn’t make the unedited complete interview available on the website. I bet all of you had many more interesting things to say. But nice job–I enjoyed it! It’s pretty cool that the ideas of personal finance form the little guy for the little guy are gaining popularity.. Hopefully people will learn and not make a lot of PF mistakes..